Pilates is a programme of exercises designed to strengthen the whole body with an emphasis on core strength to improve general fitness and wellbeing. Clinical Pilates is specifically tailored to address muscle control and movement patterns as well as flexibility, stress and tension. It can also help to improve poor posture, reducing the pressure put on the muscles that support the spine, and helps to keep the body supple and flexible, both of which reduce the risk of injuries caused by being sat in the same position for long periods of time. As well as it’s physical benefits, Pilates is recognised as being beneficial to participants’ mental wellbeing too. It has been proven to relieve stress, helping staff to feel happier in the work place and become more productive within their roles. 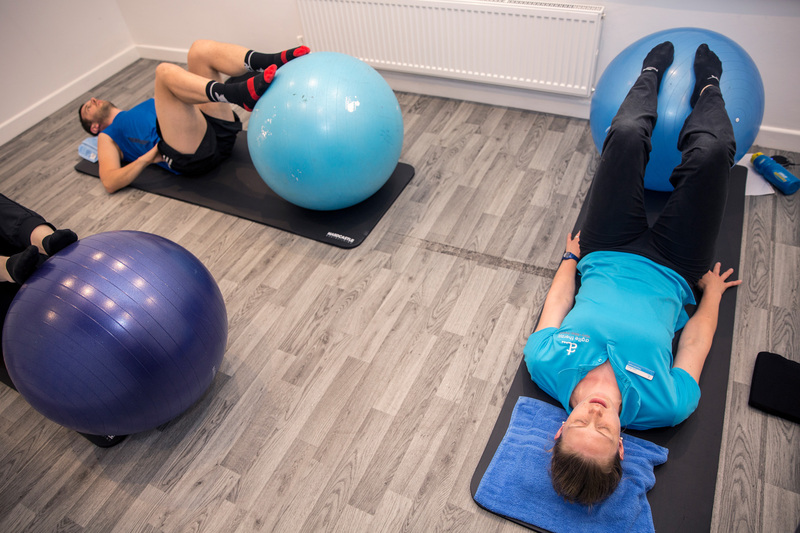 Our Clinical Pilates classes are led by qualified, chartered physiotherapists and can be practiced by almost anyone, anywhere. Sessions can be fitted into a lunch hour, making it accessible and convenient for every employee who wants to participate. Want to find out more about how Clinical Pilates can help promote wellbeing within your business.